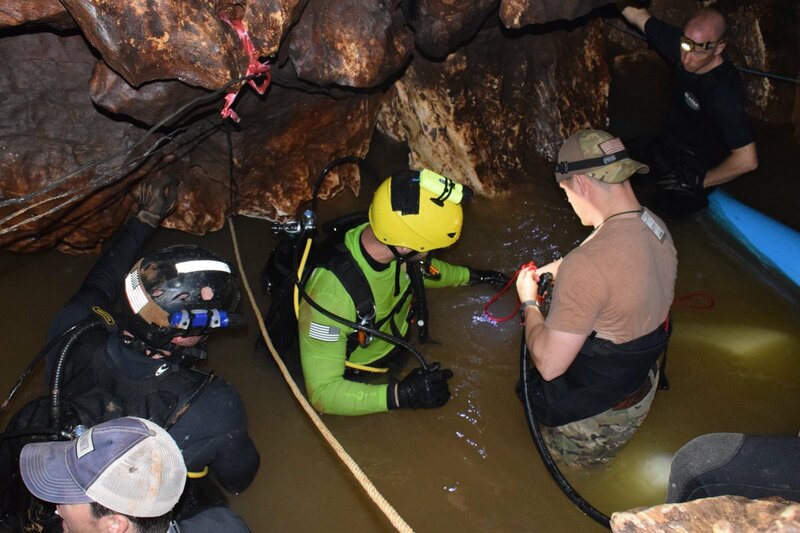 The soccer team became trapped in the Tham Luang cave complex nearly two weeks ago when floods from a sudden downpour hemmed them in. Divers were able to reach the boys on July 2, perched on a rock slab above the water level. But on July 5, one of the volunteer rescuers died during an hours-long dive to deliver oxygen to the group. One of Musk’s fans tweeted out a plea this week for Musk to pitch in. Musk agreed to put on his thinking cap, and eventually to do more than think about it. James Yenbamroong, the founder of Thailand’s mu Space satellite startup, facilitated contacts with the Thai government. Find out how the tweets flew on GeekWire. This entry was posted in GeekWire and tagged Elon Musk, SpaceX, Technology, Thailand, Tunnels. Bookmark the permalink.